Some of the causes of The Great Depression. 1. Before World War I the trade situation between the U.S. and the rest of the world was open. This meant that the U.S. could sell all the things they made all over the world. This meant a lot of jobs and profits for our country. After World War I free trade was slowed down and by the end of the 1920’s almost completely stopped. We lost customers who were buying our goods all over the world. 2. We had been lending a lot of money to other nations after World War I we stopped doing this in the late 1920’s which caused other nations depending on borrowing our money into hard times. Creating recessions in these countries. Suddenly other countries had no money to buy our goods.This meant our companies were not making the same level of profit. This meant that companies that were once worth a lot of money were now worth less. 3. Before 1921 we had a lot of immigrants coming to our nation. This meant two things. 1st that we had people who were willing to work for little money and we had new people who wanted to buy our goods and services. New customers every year. This caused businesses to grow. This slowed down through out the 1920s’ . No new people to buy our goods and no new people who were willing to work for low wages which meant that the profit of companies was not as great. This meant companies that had been worth alot of money were now worth less. 4. Banks and Brokerage firms lent money they did not have. The Banks and Brokerage firms were lending on a basis 10% of actual capital. This meant if the banks had 100 dollars they were loaning out 1000 dollars ten times more than they actually had in the bank . None of this was insured the way banks are today. When the panic of 1929 hit and people all came to withdraw their money the banks did not have it and more the 50 % or half of them failed. Executive Branch — President signs the laws into law and enforces the laws He has the power of veto. WHAT DOES THE SYSTEM OF CHECKS AND BALANCES MEAN and what does it do? It means that the 3 branches of government check each other making sure that no one branch becomes too powerful. WHAT DOCUMENT IS THE PLAN AND HIGHEST LAW FOR THE U.S. GOVERNMENT? The Constitution. 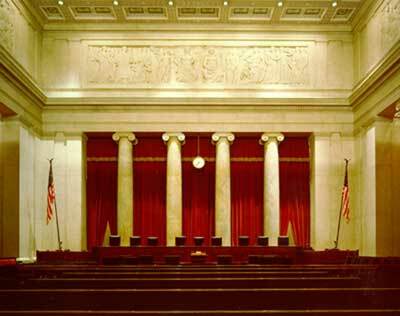 WHAT IS THE SUPREME COURT’S MAIN JOB? The courts main job is to decide legal cases and examine laws to see if they are constitutional or not. NAME TWO WAYS A SUPREME COURTS DECISION CAN BE OVER-RULED? A future court can over-rule themselves. HOW DOES A SUPREME COURT JUDGE GET ON THE COURT: The president picks them and the legislative branch interviews them, examines their record and then approves them or rejects them. How can a Supreme court decision be changed. Nine Judges sit on the Supreme Court. The Congress has to confirm the president’s choice. The Judges serve until they die or retire. They base their decisions on the laws and rules of the Constitution. They are concerned with the fact if rulings of lower courts have violated the rules of the Constitution. If there is a problem in the executive branch with the President it goes to the Supreme court and they decide it. If there is a problem in the Legislative branch with the Congress it goes to the Supreme court and they decide it. They decide for our life and our rights. The Supreme court is the highest court. They decide whether we can have a law, if we cannot if they decide it violates our constitution. They decide for our life and our rights. The Supreme court is the highest court. They decide whether we can have a law, we cannot if they decide it violates our constitution. They base their decisions on the laws and rules of the Constitution. They are concerned with the fact if lower courts have violated the rules of the Constitution. The Judges serve until the die or retire.